Place the avocado, banana, milk and honey in a blender. Blend until you have a drink with thick consistency. 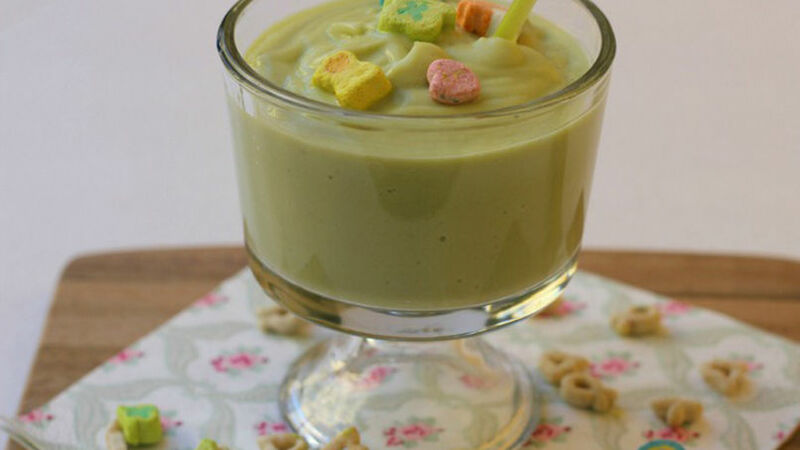 Decorate with the Lucky Charms™ and serve immediately. You can use almond or soy milk instead of cow milk. Saint Patrick's Day is the perfect occasion to celebrate with delicious dishes like those served at breakfast. One simple way to join in on the festivities is with this avocado, banana and honey shake. The fun comes with the Lucky Charms™ and the cool, colorful shapes it adds to the drink. Your kids will enjoy this delicious treat and it will be a fun way to start the day!